I had a little spare time to paint some portraits recently, and as such, may I present to you film and music maestro Scntfc (aka Scientific American, aka C Andrew Rohrmann). 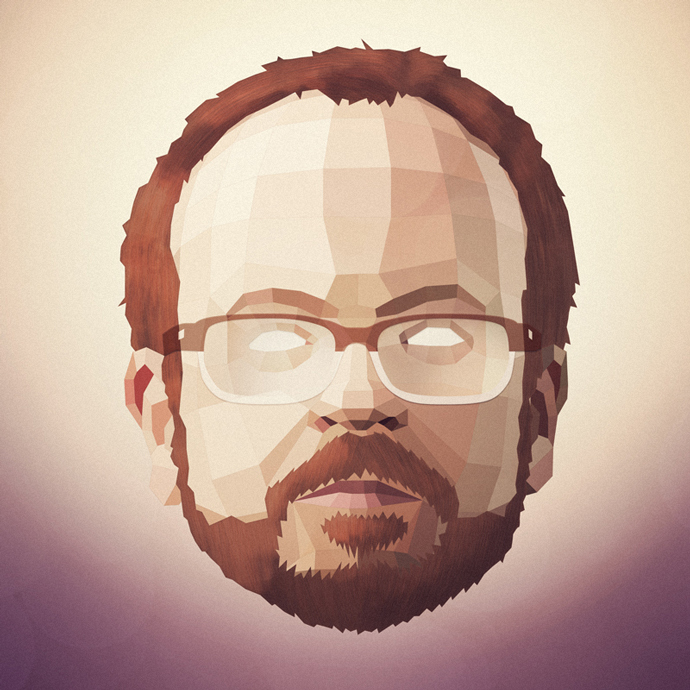 To be honest, Andy's beard made me panic a little, it was too neat to be portrayed as flowy vectors, but too long for me to just make the appropriate polygons hair colored. I prefer to keep things as simple as possible, since I think that when there is too much detail, the image becomes too noisy, and it becomes hard to draw focus to any one area. But in the end I like the way the subtle texturing turned out. Feel free to stare at it (though not in real life, that would be creepy). You can listen to, and buy, his amazing soundscapes here.